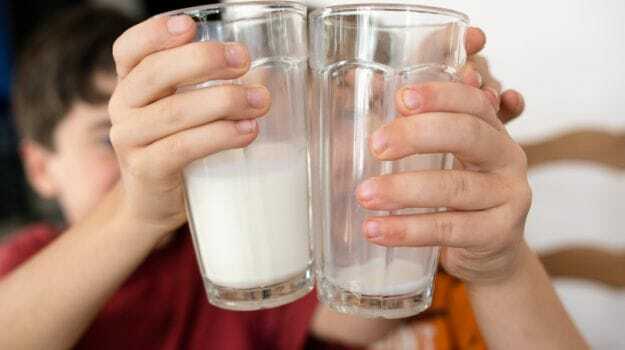 Gau Blogs - A1 Versus A2 Milk - Does it Matter? By now, you’ve probably heard about organic milk as a healthier alternative to industrial milk which has been accused of being laden with antibiotics and stress hormones. Organic milk is essentially chemical-free and healthier as the cows are fed grass or organically cultivated fodder. Still, I always felt that a piece of the puzzle was missing. In his book, ‘Devil in the Milk: Illness, Health and the Politics of A1 and A2 Milk’, Dr. Keith Woodford reveals the real milk issue. It is the breed of the cow that matters. Milk is a great source of calcium and protein. Casein is the largest group of proteins found in milk which makes up about 80% of the total protein content. A2 cows are the earlier breeds of cows like the desi Indian cows or the African cows that produce this protein in their milk along with an amino acid called Proline. In the new hybrid breeds, the proline amino acid got converted to Histidine due to alteration of genes over the years. These are the A1 cows that include breeds like Holstein, Friesian and Ayrshire. Stay with me. Proline is strongly bonded to a small protein called BCM 7, which prevents it from getting into the milk produced by A2 cows. On the other hand, Histidine holds a weak bond with BCM 7, so it is easily released in the GI tract of animals and can enter the human body on consumption of milk from A1 cows and interact with the digestive system and internal organs. A group of Russian researchers have shown that BCM 7 does pass into the blood of babies who were fed infant formula which led to delayed psycho-motor (brain-to-muscle) development (as published in the International Journal ‘Peptides’). Another report, published in the Indian Journal of Endocrinology and Metabolism in 2012, indicates that it is associated as a risk factor for type-1 diabetes, coronary heart disease and mental disorders like autism and schizophrenia because it may enter your brain through blood. This tricky devil remains a mystery as most of the evidence is based on animal trials and these diseases have a wide range of contributing factors. A human clinical trial conducted at Curtin University in Australia did prove that there were significant differences in digestive symptoms between milks containing A1 and A2 beta-casein. It has been approved that certain unwanted proteins or peptides that do not naturally occur in the human body may cause digestive disorders like irritable bowel syndrome or a weak gut. A little back story. It all began in 1970 when Operation Flood was launched by the National Dairy Development board which transformed India from a milk deficient nation into the largest milk producer in the world. The mission of the project was three-fold - increase production, boost rural production and offer fair prices to consumers. “The sad reality of the white revolution was that it led to cross-breeding with European cows and import of foreign hybrid breeds for higher yield in order to meet the goal of mass production. This has brought us to a situation today where the desi cow has become a dying breed in India. Imagine this - the Gir cow, which is a Gujarati breed, is now being imported from Brazil and the Brahmi Bull, which is another pure breed, is more popular in Australia. It’s ironic that people in these countries are drinking better quality milk from cows native to our country” shares Shakti Lumba, owner of Laksh Farms in Mangar Village in Haryana where he produces organic milk. I couldn’t agree more. Operation Flood also gave birth to the system of paying for milk as per the fat content. This concept has had two side effects – either people started keeping buffaloes whose milk has higher fat content or they resorted to adulteration. Case in point: I picked up toned milk packets from some popular brands and found that none of them mention that it’s cow’s milk. It can, therefore, be safely assumed that it is a mix of buffalo and cow’s milk. While it’s an established fact that A1 and A2 milk differ due to their composition, the bigger problem in India is the way milk is procured. “There have been cases where farmers save the animal fat for family consumption and reintroduce cheap fatty solids in the form of vegetable oil, urea or even pork fat. Moreover, the management of cows is of great concern. At our farms, we have only kept desi Gir cows that are allowed to graze, soak in the sunlight and fed organic fodder cultivated at the farm along with immunity boosting herbs like Ashwagandha, Jeevanti and Shatavari,” says Mr. Bhalla. There is an increasing demand for milk, the way it used to be - fresh from the cows in our backyard but for a country with a population that crosses the billion mark it does not seem like a viable solution. It should be the responsibility of the dairy companies to ensure the welfare of the animals in their procurement as a part of their sourcing policy. But the story still continues. “We need to start somewhere. The growing incidence of lifestyle diseases is a warning to us. We are victims of the rampant commercialization and so is our indigenous breed of cows. The desi Indian cow is a very unique species and needs to be conserved. You can recognize them because of the hump on their back and long horns. Studies have shown that the rays of sun enter the body of the cow through the hump which makes their milk, dung and urine medicinal. If they are not exposed to the sun, they will not get the Vitamin D required to produce calcium in milk. More and more people are going back to the milk procured from native breeds like Sahiwal from Punjab, Gir from Gujarat, and Tharparkar from Rajasthan. It’s sad to know that Vechur, one of the healthiest breeds of desi cows from Kerala, is on the brink of extinction,” says Ramneesh Tangri, who runs Pashupati Gaushala in Noida.